Memorial Elementary is a Leader in Me School. Click here to access your gradebook, Teacher Access Center. Click here to access Eduphoria site. Click here to submit a technology work order. Please be specific with the description. Click here to submit an announcement. The newscasters will announce in the morning. Please submit by 7:25 a.m.
Click here to view Memorial Elementary Newscast Live. The stream goes live on School days at 7:50 a.m., only available to WISD users. Missed the Memorial Announcements on YouTube Live! No worries. You can find them all on demand just minutes after they air. Click here to view missed airings. Click here to access Gmail. Click here to access the Employee Absence System. Employees may also call 956.246.4587. For assistance please call Ana Martinez at 956.969.6617. Click here to access the Employee Information System. Click here to access Google Drive. 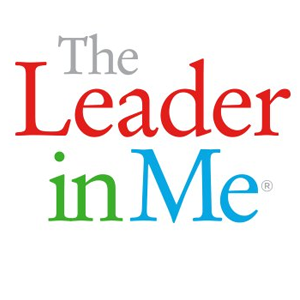 Click here to access the Leader in Me website. Click here to access Memorial Elementary Facebook page. Click here to access Accelerated Reader Teacher/Admin Section. Click here to to use Accelerated Reader Book Finder. Click here to access Accelerated Reader. Click here to access Math Playground site. Click here to access Think Central site. Click here to access Interactive Sites for Education. Click here for Kids Heart Challenge Page. Click here to access WISD Online Testing. Click here to play Google Interland. Click here to log in to Kurzweil 3000. Click here to access Home Access Center, commonly called the "Parent Portal." Click here to access the school breakfast and lunch menu. Click here to access PTO Ballot.